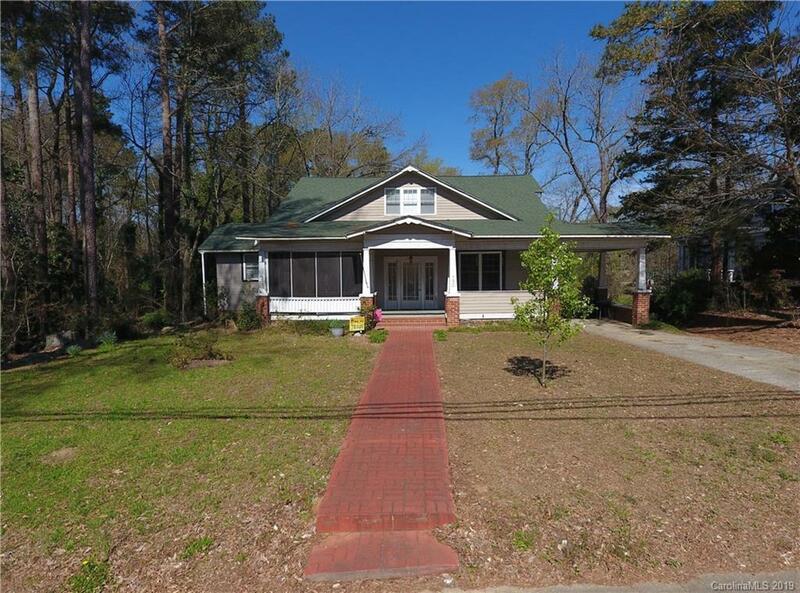 Large 4,600 SF, 5 Bedroom, 4 Bath 1923 home with Lots of Character and Modern Functionality. Original hardwood flooring and built-ins. Updates include architectural shingle roof, 3 Heat Pump Systems, approximately 1/2 of the windows have been replaced with insulated windows, new front door, attic insulation, 3 bathrooms remodeled, 1 bedroom remodeled, most plumbing replaced with pvc, kitchen flooring and french doors in basement. Master bedroom with master bath on the main level. Large living room, dinning room, breakfast room, kitchen, 2 dens, office, master bedroom, 2 full baths on the main level. Upstairs with 3 bedrooms with walk in closets, full bathroom, large storage closets. Basement with 1 Bedroom, 1 full bath, kitchen, living area, dining area, 10.5 x 36.5 workshop, 14 x 15 mechanical room. Single carport on the front of the house & 2 car brick carport in the rear. Close proximity to grocery, pharmacy, dinning & shopping. Priced to Sell!! !